Healthcare Compassion Campaign. Target demographic was chosen for us: the Chicago area. 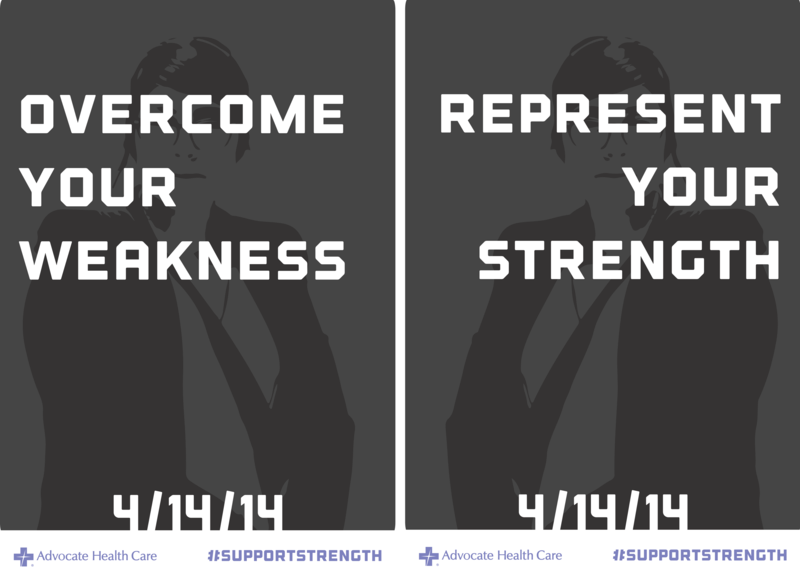 Our sponser was also chosen for us: Advocate Healthcare Network. I chose lower-middle class individuals in the urban environment as my specific target demo with no gender bias. Three main campaigns rolled out in different sections of urban Chicago (stickers used throughout campaign). Colors are matched per the area that these are in and based around public transit, to meet the target demo on their way to and from the city, work, etc. 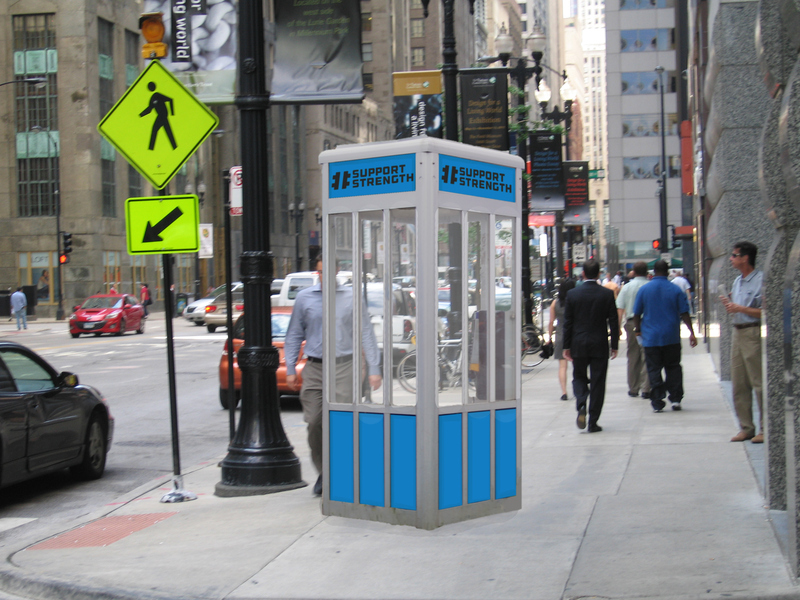 Phonebooths setup near highly trafficed areas and places of public transit. 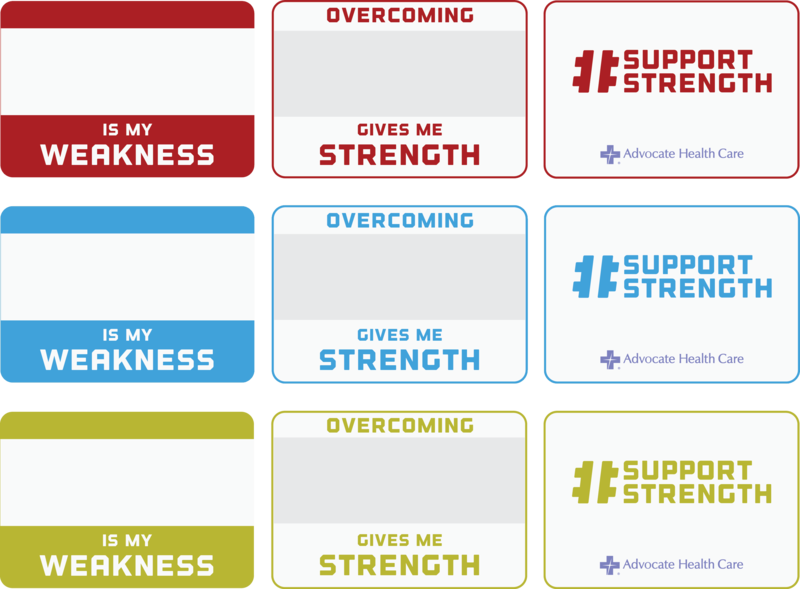 The phone will ring, drawing attention to it, and once someone goes in to answer they will be recorded (video and audio) talking to #SupportStrength campaign workers who instruct them to fill out the below "nametags"
The first row is what the stickers look like on the exterior, the middle is the interior, with carbon paper to copy their written response from the front panel (which is the sticker), and the last panel is the back of the paper. The colors would coordinate with the locale/event. Flashmob of people wearing these shirts (although filled out) and encouraging others to wear them, and fill them out, as well. 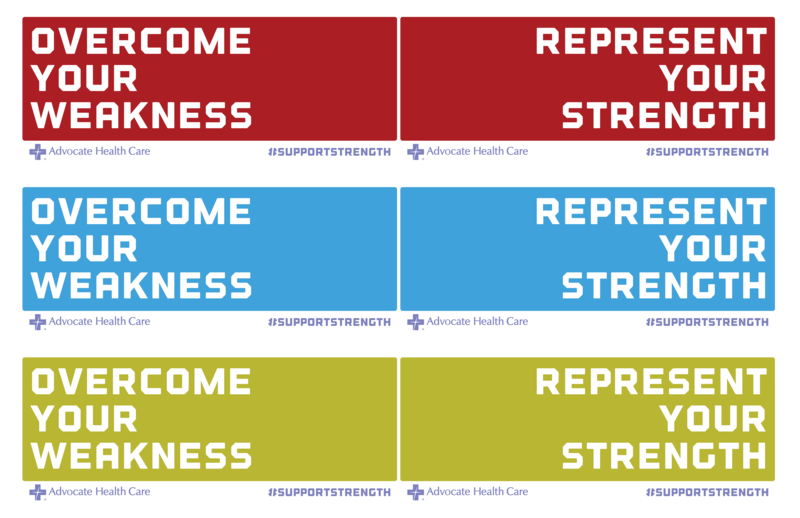 Lenticular printed stickers that are the size of bumper stickers, or could be sized up to bus and rail sized ads. As you walk by the message would flip sides from one message to the other. Lenticular print posters done to promote the above geurrilla events and draw attention to them by getting the public used to this visual language. The images would be even more varied in actual print, so each color would use each image in someway.